leaders Switzerland. Tim, on leg 2, then caught up 3 places while at the front of the field Switzerland maintained their lead but now only 3 seconds ahead of a charging Great Britain. On leg 3 Ross reined in Simon Uphill running for our trans-Tasman mates but then made a crucial error. 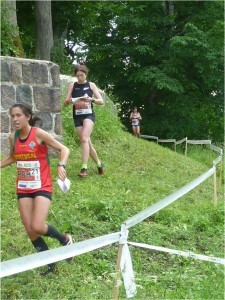 missing a small track on the last loop before the finish, handing over to Laura still in 22nd place. 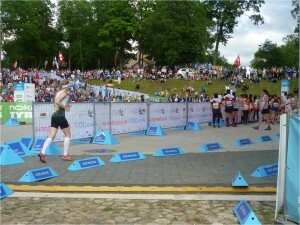 As in Scotland in 2015 Laura ran a great final leg, 13th fastest time on the leg, pulling up 1 place, but unable to reel in Natasha Key running for Australia. 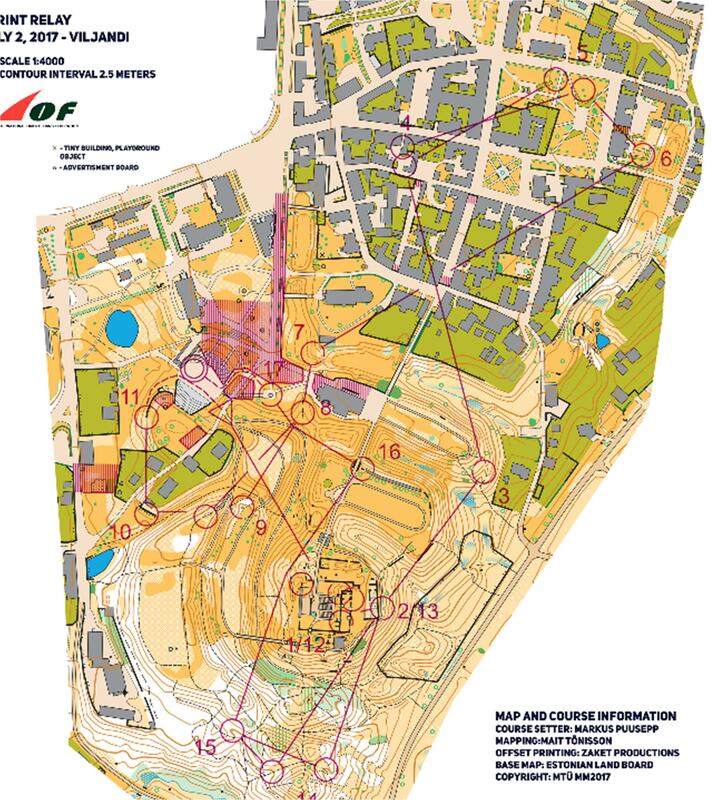 At the front of the field Great Britain had indeed taken the lead on leg 3, but then Kristian Jones made a crucial error in roughly the same place as Ross, dropping over a minute as he circled a hill to find the control, and putting GBR out of medal contention. 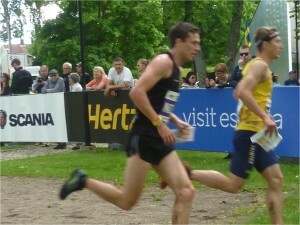 Martin Hubmann did somehting roughly similar and Switzerland dropped to 5th at the end of leg 3, as Jonas Leandersson took Sweden into the lead with the fastest leg time. 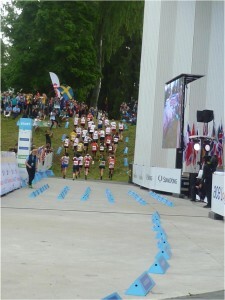 Sweden’s lead of 40 seconds over the Czech Republic looked comfortable, but no-one had told individual women’s sprint champion Maja Alm of Denmark who took over the last leg in 4th place nearly 1 and three quarter minutes behind Helena Jansson. Split after split the gap got smaller and smaller but ultimately it was too large for even Maja to pull it in and Helena crossed the line still 30 secondds ahead od DEN. Switzerland recovered to take the bronze. This was Sweden’s first gold in the sprint relay which has been somewhat dominated by Denmark since its institution in 2014 since when the Danes have gone 1st – 2nd – 1st – 2nd. 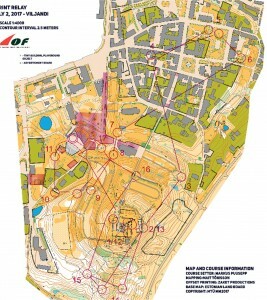 Probably unquestionably the sprint relay is by far the most exciting event at WOC, and compared to the individual sprint courses these were good courses on, again, excellent, if tough, terrain. 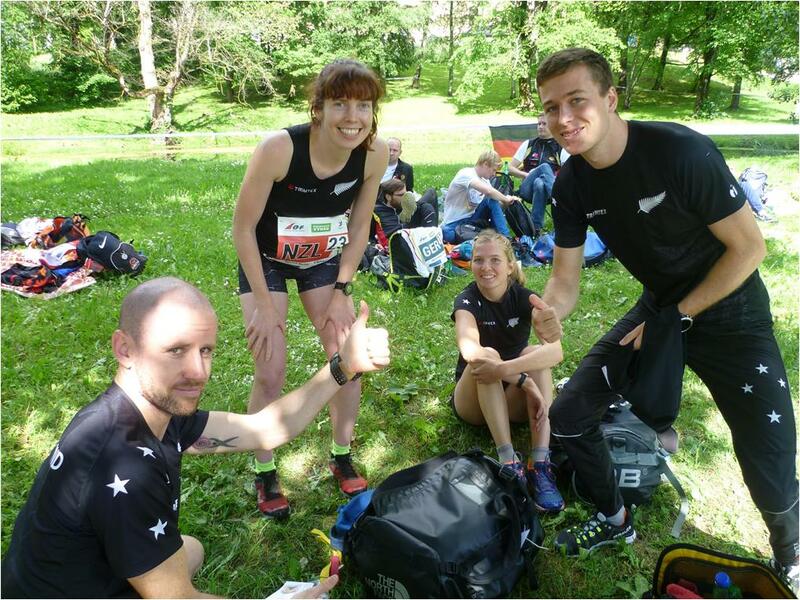 However, notwithstanding NZL’s 12th place 2 years ago in Scotland, it does emphasise how many nations are not putting forward sprint specialists into this event and how NZL athletes risk being left behind if we try and be specialists in both sprint and forest. 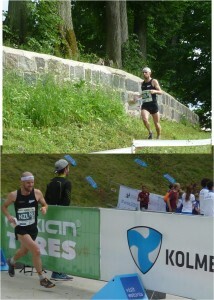 Pictures of the sprint relay. Monday morning and Lizzie, Imogene, Nick and Gene have sampled the model event for tomorrow’s long distance. The model is a patchwork of forest and open land with variable runnability as on Haanja and with lots of marshes, paths (both distinct and indistinct). One thing is clear it is going to be a very tough race with men’s and women’s winning times 80 and 100 minutes respectively. Route choice on the long legs will be crucial as well as being persistent and not becoming discouraged by the physicality. Although Tim will not run as he is suffering a bit from shin splints and wants to rest before friday’s relay, Nick is relishing the prospect….